When Sen. Ralph Recto went to Rome for the first time a few years ago, he threw a coin in the fountain (Fontana D Trevi) believing that, according to tradition, if you do so your wish will be granted. You know, the song: Three coins in the fountain, which one will the fountain bless? Thrown by three hopeful lovers, each one seeking happiness… Ralph threw only one coin and his wish to be back in the Holy City was granted. 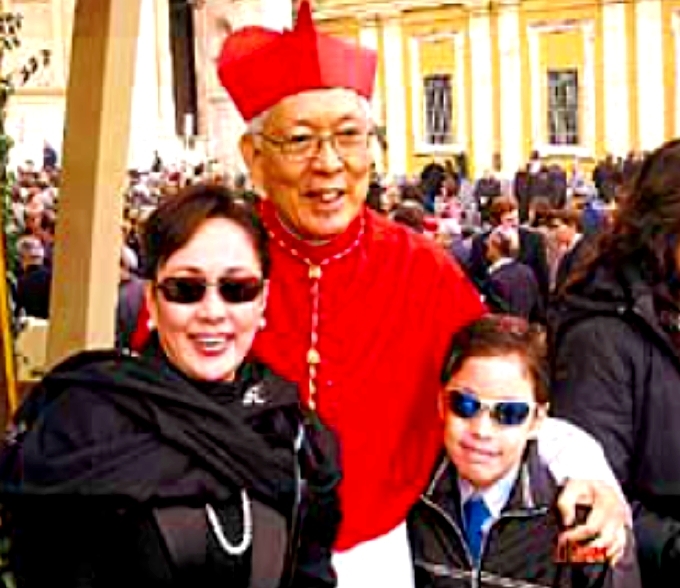 Last March 24, Ralph was back in Rome, not alone but with his wife, Lipa City Mayor Vilma Santos, and their son Ryan Christian, along with Vilma’s sister Emelyn, Vilma’s brother Sonny Boy, Ryan’s yaya Fely and Vilma’s Girl Friday/accountant Aida Fandialan. They were there purposely as guest in the ordination of Cardinal Gaudencio Rosales, formerly Archbishop of Lipa and now Archbishop of Manila. It was one event the Rectos will remember for a long, long time. The formal invitation to the ordination read: Prefettura Della Casa Pontificia CONSISTORO ORDINARIO PUBBLICO tenulo dal Santo Padre BENEDETTO XVI per la creazione di 15 nuovi Cardinali VENERDI 24 Marzo 2006 piaza San Pietro – ore 10,30. The footnote in the card read: L’ingresso sara consentito Dalle ore 8,30. Cardinal Rosales was No. 5 on the list of 15 new cardinals who were given the red hat. The day before the ordination, the entourage went around as if they were wearing a halo all because they saw Pope Benedict XVI in person. Because they were with the foreign dignitaries, Vilma, Ralph and Ryan got close to The Pope, together with First Daughter Luli Arroyo, Cristina Ponce Enrile, Bea Zobel and the family of Cardinal Rosales. Because Ralph knew his way around, he acted as the entourage’s tour guide, even as the photographer (along with Sonny Boy). When they visited the Fontana D Trevi, Ryan threw plenty of coins because, he said, he wanted to be back in Rome as many times as possible. The rest of the group did the same. This entry was posted in ARTICLES and tagged A real Roman holiday, ARTICLES, Vilma Santos. Bookmark the permalink.